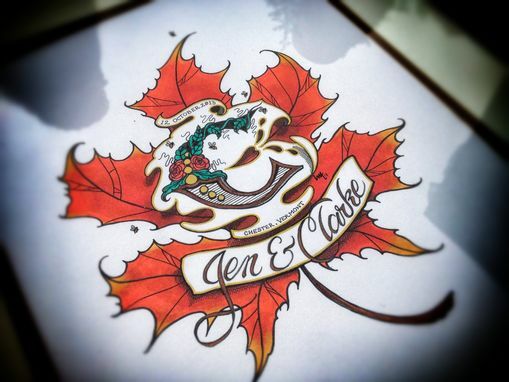 Commission a 8"x12" hand-lettered custom art wedding monogram design to be given as a wedding or anniversary gift, or to commemorate any special occasion between two people in love. 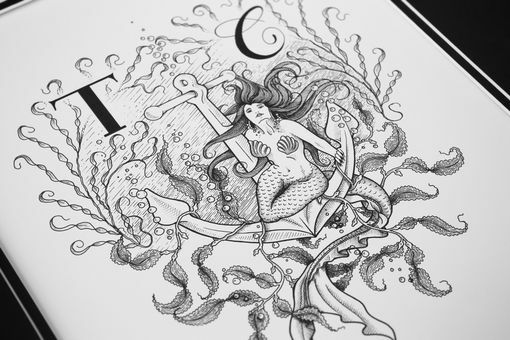 I draw in a classic engraving style, using cross hatching and pointillism, most often in black pen & ink with touches of gold or silver. Though I work in a subdued tone as a personal preference, full color for your special artwork is no problem! I will create a monogram wall art design based on your desired shape/subject/style, with up to 2 revisions. 4. Any specific theme or object dear to the couple, or that symbolizes their union, i.e. a specific flower, bird, animal, landmark, symbol, or piece of interest like an old timey pocket watch, vinyl record, rope and spurs, a guitar, theater, etc. Thank you for considering a one-of-a-kind custom wedding monogram from ThreeManTiger!